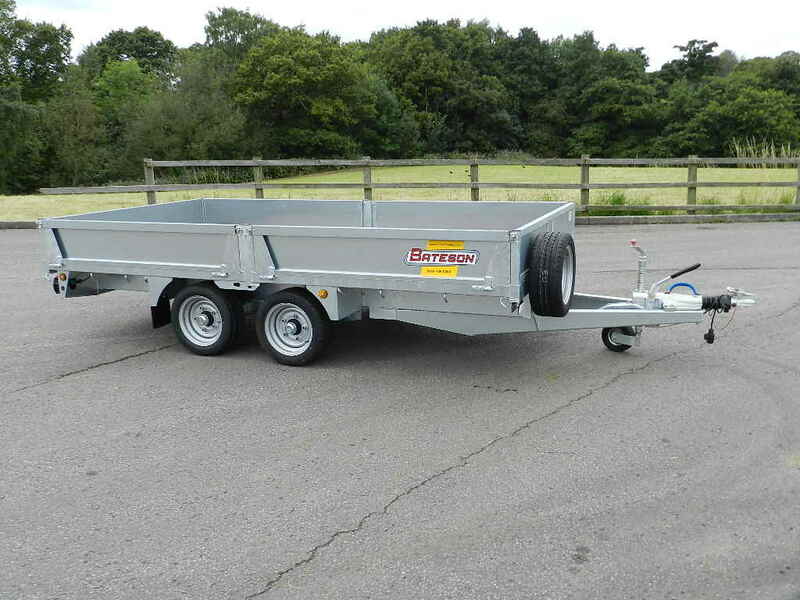 Model 3536 is a very popular 12 foot 3500Kg platform trailer suitable for use behind most 4x4s. 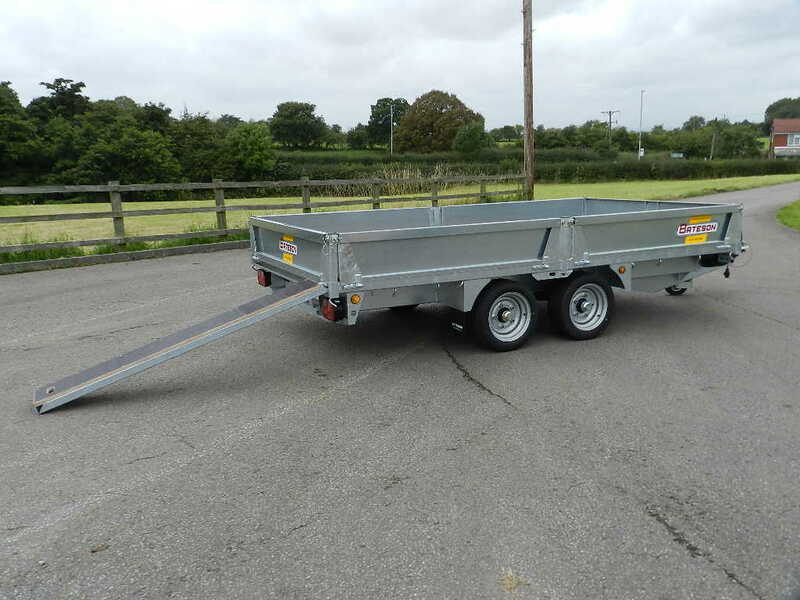 Its 3500Kg gross weight is the maximum permitted weight for a draw bar trailer that does not require an operators licence or be subject to HGV regulations. It is supplied as a flat platform with roping hooks, full road lights, front jockey wheel and auto reversing overrun brakes. 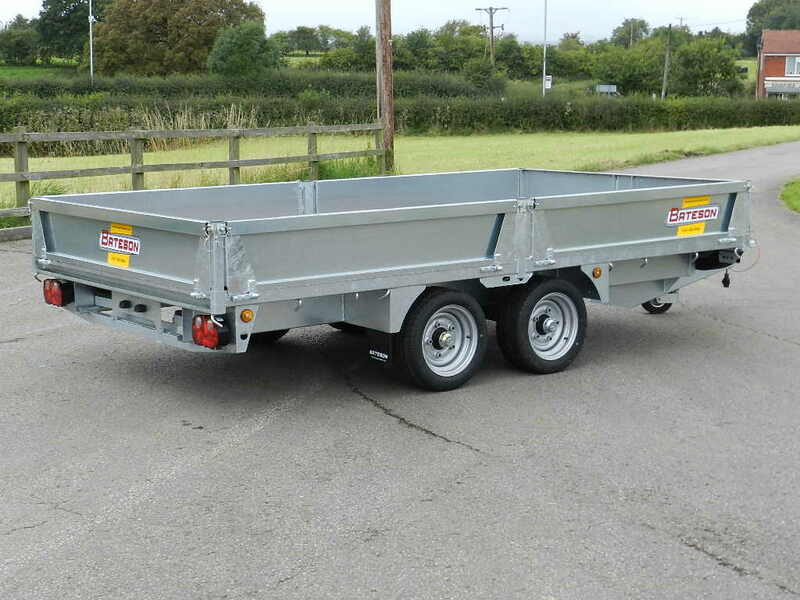 All trailers in the platform trailer range are fully galvanised, and have Avonride softride fully independent rubber suspension axles and a hydraulically damped hitch with a lockable cast coupling and power assisted hand brake. Standard equipment includes a phenol coated plywood floor, flush fitting side rails with post sockets and roping hooks, a front telescopic jockey wheel and full road lights. 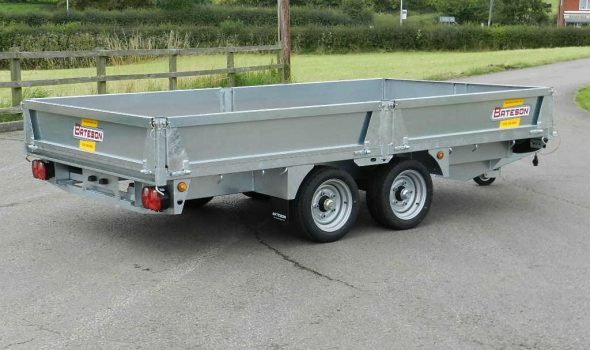 The trailer is often supplied with optional slide in loading ramps and a headboard. Galvanised steel sides, mesh extension sides and a winch are also popular options. It can also be fitted with our 60LT removable livestock container. Extra Body Width 1980mm, (6’6″), 2130mm. (7′), 2280mm. (7’6″), 2430mm. (8′).